The world watches Egypt closely, Israel is watching even more so. The main concern is who will take power. The number one possibility at this point is the Moslem Brotherhood. Now that nice bunch of guys definitely has an agenda for this neck of the woods. First on their list is ending the Peace Treaty with Israel. This of course includes many sub-categories that do not ease the tensions, not only with the Israeli government, but also many Arab rulers and peoples. We are seeing demonstrations in Jordan, starting out as Pro-Opposition for Egypt, but also including support for a new Arab state in Israel (or instead of Israel) and rights for the “Palestinian” people of Jordan, who BTW, make up over 70% of that country. Nice peaceful Lebanon in the North with its new Hezbollah puppet in government seems to be bustin’ at the seams, with the possibility of reeling backward into a civil war once again. All over the world, Arabs and other protestors are coming out into the street backing the Egyptian protestors, holding signs to oust Mubarak, and bring about reform. Reform? That is one word that may be debated. And coming back to Israel, some of the Arabs of Israel are getting excited once again that Saladin (Salah al Din) will rise again from somewhere, eventually to cleanse the Jews from all of Israel. I am concerned that the present US administration is showing such support for this uprising. Mubarak was never a friend to Israel, but he sure was not a friend to Islamic extremists. In fact none of the Arab leaders are a friend of Israel, but they are definitely not interested in loosing power to Extremist Islamic parties. Now, every analyst or Mid East supposed expert in the world (as long as they live outside the Mid East, in safety) realizes that when an Arab dictator falls, the next step is not democracy. In fact it is usually a slide into extremism, that is, unless the US will station forces defending the “new” government. There is indeed a domino effect and the question is where will the blocks fall? As we mentioned before, it is simply a matter of time before the present Arab dictatorships change hands, yes change hands, as Democracy and Islam do not mix. First on the agenda of all of these new leaderships will not be a peaceful, fruitful relationship with the US, it will be quite the opposite. Western society tends not to understand the “Arab” street. I am sorry to inform you, it is not made up of the shiny happy people of the Upper West Side of NY, it is not lead by the Professors of Columbia U, nor is it occupied by the residents of Dearborn, Michigan. The residents of the “Arab street” are the mob, and who rules the mob will eventually be in power. At present the rulers of this mob throughout the Arab world happen to be extreme Islamic parties, also known as Moslem Brotherhood, Hamas, Hezbollah, Al Qaeda, and many other names. Learn these names, these will be the new rulers of the Arab regimes in the Middle East. These regimes will be put in power by the “mob”, whose uprising is getting support (at least publicly) from some Western powers. Watch how we will see how this becomes the new cause on US campuses, along with continuing calls for Israel’s downfall. I know, some of you are saying, “crazy”, he’s extreme”, hey, it’s just a thought, a possibility, so play along with me for a bit. Again, coming back to Israel for a sec, the calls from the Arab street and various Arab pundits are already being heard to oust Abbas from rule, rise against Israel, and so on, and so on, but this time the “mob” may have the verbal support of the US admin. Israel carefully watches the developments down on its southern border, as we all know where this may lead. In Jaffa the Arab demonstrations that include Left Wing Israeli Jews calls for a city free of Jews, this of may well spread. Yes, the Arab street is rising up against its enemies, and everyone is a candidate. To make matters worse…the message being sent out or at least understood from the White House is that they will support any uprising. If I was to continue to play this game of possibilities, of conspiracies, of action novels, I might say that this all may fit into some sort of plan, a scheme if you will. One that places the Arab nations in the hands of the Islamic parties, a scheme that puts Israel in very real danger, and a plan that would have a definite effect on American and Western society as we know it…that is, if I were to continue to play this game. Civil War… Not on my shift. One of the looming and possible scenarios (spoken only in whispers) of the past and ongoing “Peace” process is that of the split of the Jewish Nation. This “worst case scenario” is a fear that most of us won’t even acknowledge as a possibility… therefore we place it in a hidden burrow in our mind. “It can’t happen”, “not possible”, “not to us”, are usually the words spoken when this topic is broached. What are the symptoms that could lead to such a nightmarish reality? Diametrically opposed sides and philosophies? Outright public displays of hatred and violence between camps? It should sound familiar. The headlines are full of examples. Our Jewish history is filled with these symptoms. Not just the symptoms, but the results also. Not just in bloodshed and the useless loss of life, but the exile of our people from our land. So where are we now? Where are we heading? Causing civil disruption and internal opposition within a society has always been viewed as and effective and efficient tool of war. To cause a split in a society that weakens the basic fabric of nationalistic goals is considered a victory and a devastating blow. Often covert and hidden from the eyes of the public, this attack camouflages itself as an “advanced way of thinking”, “liberal thought”, and one that will better the world and we as a people. It can be adapted towards any cause, hence making it attractive to anyone. The desired result however is to cause dissention and civil strife. A unified people are strong, so obviously the first step is to attack that unity, drive a wedge into their heart. What is considered Israel’s “soft side” is being used as a “weak link”, this being our want of peace. Ironically this soft side is also one of Israel’s defining characteristics. Because Israel has been faced with war and terror since rebirth, the country and people’s thirst for peace weakens it in the eyes of its Arab neighbors. By making false promises of a peaceful existence and the use of unlimited funds, many Israelis were drawn to what is known as the “Peace Activists”. Being victorious in wars that were meant to destroy Israel and Operations meant to fight terror have been re-spun as to make Israel seem as the aggressor, this combined with the merciless exploitation of the Arab residents of Israel presents one of the most premeditated acts of deceit and straight out lies the Middle East has known. Once viewed as the zenith of Zionistic efforts, “settling the land” was rebranded into “extremism” and religious fanaticism. Despite the facts on the ground, rifts were caused and separation started. Religious philosophies and worship were politicized and were no longer a personal matter. To skip ahead to today we see that most Israelis living in Israel do not accept the deception that is being presented. Experience from Lebanon, the Arab violence of 2000, the unrelenting attacks from Gaza, the Gaza retreat and expulsion of Jews has revealed the true intentions of our Arab neighbors. Indeed when offered 96% of Judea and Samaria, that too was turned down. It is common to see that the Arabs of Judea and Samaria are not talking just about that region but all of Israel. One only needs to look at their flags, their emblems, at their media, pay a visit to their market place, or step inside an elementary school for a look at their true intentions. So the people of Israel, despite their known stubbornness began to realize that the “Left” was simply wrong regarding the Peace Process and the idea of a “Jewish” state was not really part of their picture. So when different groups claim that US and European intervention is a necessity, there is a reason for their statements. Seeing their defeat in Israel, the Arab and anti Israel “spin” machine along with their PR, set off to find the next weakest link, it proved to be that of Diaspora Jewry. Where Israel’s PR or “Hasbara” department was simply a virtual concept, there was basically no unified body to stand up to the Arab juggernaut of illusion. Strategic mistakes at the onset of the Oslo talks made matters only worse and today we see an unmistaken divide among the Jewish people regarding Israel. Many groups formed in Western Universities and they fell in line like a well disciplined company of Marines, and today we find that one of the most hostile anti Israel atmospheres today exists on the campuses of higher learning. University students are prime targets, they are in fact the up and coming generation, most are also products of a lesser education when it comes to Israel, so deceiving them is not really a challenge, especially when many of the students do not come from a religiously observant background that might have exposed them to wider more informed view of Israel compared to other views. Pro Israel movements have only begun to see the importance of these campus activities, and are now acting. The Israeli government is even beginning to wake up and take action, though not enough. Seeing their success on campus and looking to preempt more Pro Israel activity, Anti Israel and Post Zionist groups have begun to look towards the high schools also. Remember they operate under the guise that they are the elite, the intellectual and liberal leaders, the caring and champions of human rights. So doors are opening left and right, despite the truth. One small factor that I left out, these anti Israel and “Post” Zionist groups have unlimited funds and are backed also by enemy states to Israel, the European Union, and many disillusioned Jews. Yes, their goal is the division of Israel, both geographically and socially, with the eventual cessation of Israel as a Jewish State. That thought and possibility of Jews fighting against each other does not deter them, we have seen on some campuses the possibility of violence even fuels them, as good enemies should. One of the largest challenges we face today is to stay together. We must keep an open, thoughtful dialogue flowing and deal with our differences on our own…as one. Our enemies rejoice at our internal bickering, and self inflicting harm and wounds, even more…they support and “help us” to hurt ourselves more. They pick out their targets and attack, as we look on and shout back at them like toddlers. Time to stop, no more being a victim to their onslaught. It is time to regroup and rebuild and fight back. Sure we will have out differences, we will have our fights between each other, but it is up to us to mend them. We must not let our enemies continue to widen the rift… it is up to us to close it. As we draw together, our strength will grow, and those that speak against Israel will wither. They like to see strife and fighting and would love a civil war between the Jews, well…not on this shift. The greatest fear adversaries of a Jewish State have is that of a unified people, lets give them what to be afraid of, what to be very afraid of. It will probably be written in the future that one of the great deceptions of the age was the ruse the Arabs of Israel tried to pull over on the world when they stated they wanted a state of “Palestine” along the 1967 borders or the “Green Line” of Israel. It will be written how they duped most everyone they came in contact with, especially the “Left Wing” Israelis and many Jews of the world. Further more this “Face Book Nation” as called by would be Prime Minister Fayyad, managed to play the fool of the United States, Europe and South America, or at least get them to play along with this deadly practical joke. The daily headlines are full with the claims and soon to be declared “Palestinian State” within the 1967 borders, yet every Arab you ask in Israel especially in Judea and Samaria will tell you that they mean all of Israel. 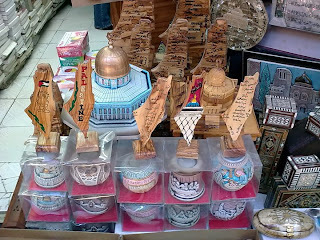 Look at their virtual Flag, see the T-Shirts, listen to the music, go to the market place and buy a souvenir…they are not talking 1967 borders, they are talking 1920 borders, the same borders that the League of Nations declared to be a Jewish State. It may also go down as one of the most unifying jokes in history as it seems that “anyone who is anyone” is going along with it, it has become the latest “fashion” from Hollywood to Ivy league campuses and many are going to great lengths to make this dupe appear to have some truth to it. The international media is full of designer misinformation, while South American nations follow one another declaring their support of this mirage, (I was always wondering if the Nazi’s who ran to South America would affect these nations). Most gullible seem to be many Jews living in the United States, there are organizations especially set up there to push this practical joke through. In many of the Jewish institutions, most notably many Reform and Conservative Synagogues and Schools, only one side of the political spectrum is being shown, while other opinions are being stifled. Indeed, by sponsoring only one side and showing bias or contempt for different opinions and points of views, many Rabbi’s end up hijacking “free thought”. It’s not politically correct to oppose your Spiritual Leader. Labels are being used more than napkins at a meal of Buffalo wings. If you back Israel’s claim to it historic land, you are an “Extremist”, if you criticize Israel, you are an Anti Semite, if you take a stand against Muslim terror, you are an “Islamaphobe”, if you think for yourself, you are “Naïve”, and on and on and on. It’s all in the marketing, but make no mistake, deception is afoot and is taking the lead in directing world opinion against Israel and it’s right to exist as a Jewish State. My Arab neighbors do not deceive me… I listen to what they say amongst themselves. 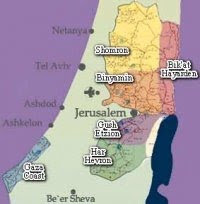 That Israel pulling out of Judea and Samaria is the first stage to the end of the Jewish State. I listen as they describe the strategy of blackmailing the world to force their way upon a non-consenting Israel. Next, a deathblow of flooding the Jewish nation with 700,000 Arabs who claim to have a connection to this land, then an uprising in the Galil, I watch as they transmit hatred and support for terror on TV and schoolrooms, and you can be sure, there are no peaceful tones included. I know this is not news to most of you, but I am concerned more at this point with what I consider a crime, what I mentioned before, the hijacking of our minds, especially the young minds. All too often will you see organizations that advocate an Israeli pull back from Judea and Samaria have carte blanche at many Jewish Institutions, JCC’s, Schools, etc. Often a representative of one of these orgs appears unhindered, unfettered and lavishly supported, free to speak as they wish. But when a representative from another side or opinion appears, they are usually denied the same luxuries that I just mentioned. Some conditions are unfairly applied, an opposing view must be present, board permission becomes a task rather than a formality, and last but not least, attendants usually become rowdy and disruptive. All this is being done in the name of equality and freedom of speech. Distorted pictures are painted of an entire populous numbering only around 300,000; generalization and biased views take their place standing next to racism and ignorance. Opinions are custom shaped rather than informed, facts are force fed rather than investigated, individual thought, if not along the party lines, are downtrodden and banished. All too often we see this even under the guise of a “Zionist” trip to the Holy land. Visits to sights that are basic to Jewish heritage are avoided, being described as dangerous to get to, (by who? the same peaceful Arabs that are being hailed?). To remedy this we see a major push in the ‘Hasbara” department. “Hasbara” is Hebrew for explanation, or as it has been used as lately, an apology, an explanation to defend our actions. “Hasbara” has become a four-letter word. An unfortunate tool and effort not being used effectively and efficiently as it should by the Israeli government, any Israeli government. I would like to ask the other side for an explanation to describe their actions of terror and murder since Israel’s creation, I would like them to explain why they do not push peace amongst their own people. Why do they preach the destruction of Israel? Why they want their areas to be free of Jews? I would like an explanation why the organizations pushing a “Two State Solution” ignore the Arabs claim of all of Israel, and why they don’t demonstrate against daily Arab abuse of human rights all throughout Israel and under the “Fatah and Hamas Authorities. I want an explanation why young Jewish minds on campuses and high schools are being poisoned and denied the right to think on their own, to see one side only while the other sides are being filtered and stepped upon. Strike that, I know why, I understand how there are many that are working against Israel. It makes sense to strike at the students, the young, and the ignorant. It is an age-old strategy being used once again. I observed it being used by enemies of Israel during the Arab uprising of 2000, attack the unarmed, the children, the ignorant and the weak. It is time to take back our right to think freely, to learn freely, to ask questions, to ask the right questions, and hear the answers from whomever we please.